Plays on table. 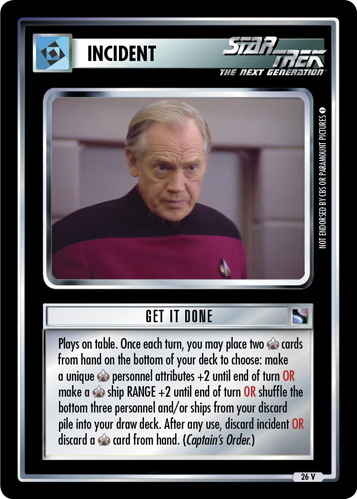 In place of your normal card play, you may download Gowron to your facility. 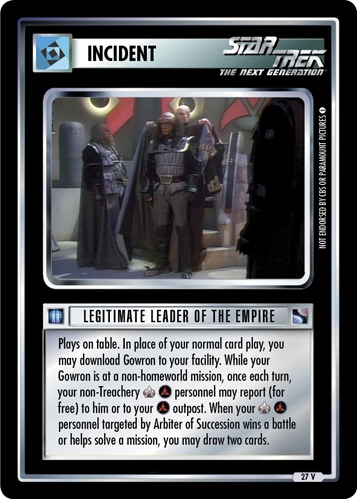 While your Gowron is at a non-homeworld mission, once each turn, your non-Treachery personnel may report (for free) to him or to your outpost. 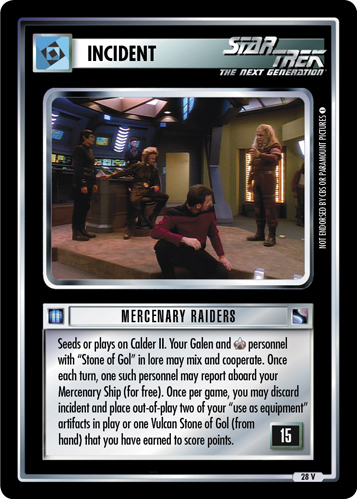 When your personnel targeted by Arbiter of Succession wins a battle or helps solve a mission, you may draw two cards.